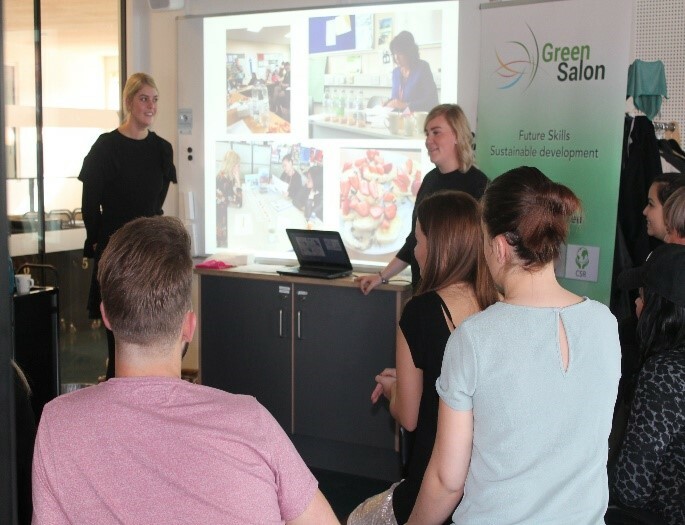 On the 21st of September 2017 two of the students participating in Erasmus Plus Green Salon gave a presentation for their fellow students in the class. 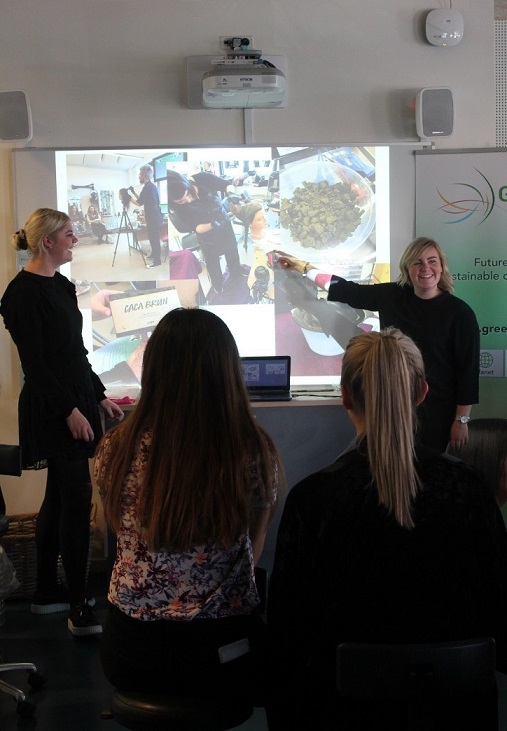 The Cecile Frandsen from Salon Træholt Aarhus and Julie Gissel from Salon Identitá was part of the student group in Brigdgwater England. They described the different student activities. Especially the activity colouring a mannequin head with Henna and the traditional colour, released lots of questions from the other students. 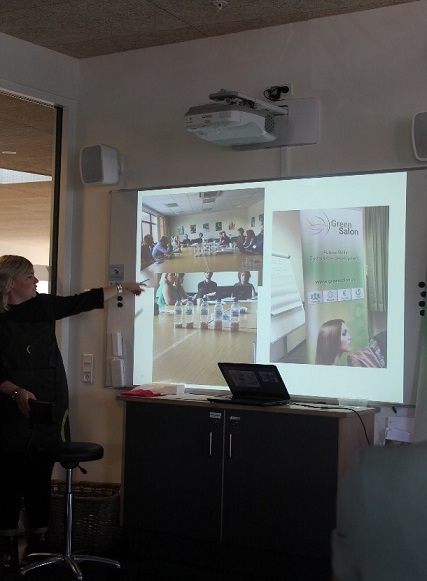 The games were also presented. The surprise of how hard a sustainable game can be to win, as ones knowledge might not be as great as one thought. I think we all make exactly than conclusion when working in a project like this.